Itaipu Binacional is the largest power generator in the world, located on the river parana, the ninth in the world, the border between Brazil and Paraguay. It is an example of integration between the two countries. Hydroelectricity is clean and renewable energy. 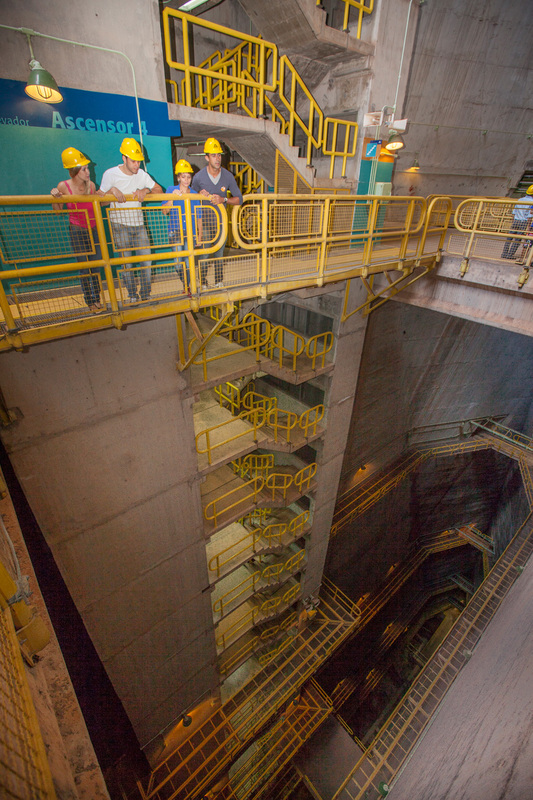 Brazil would have to burn 536,000 barrels of oil per day to get the same production of energy from Itaipu. 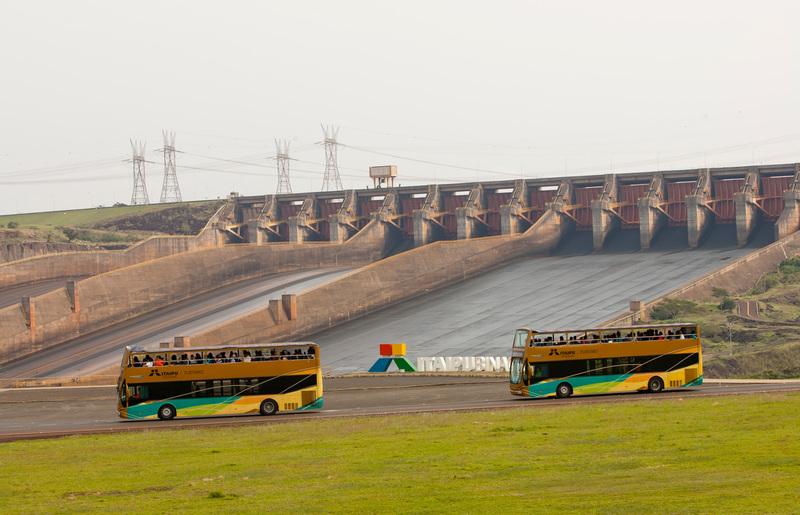 Panoramic tour – The grandeur of the Itaipu Dam, a walk to feast your eyes on, seen from its most famous angles: the observation points, the gigantic dam that is approximately 8 km long and 196 feet tall, the spillway, the 1,350 km2 reservoir, which stretches to the horizon, and the penstocks, huge tubes through which flows the water that generates energy for Brazil and Paraguay. Tourists from around the world are enchanted by simply sighting this work of science and man that today makes Brazilians and Paraguayans proud and that generates clean, renewable energy for the development of the two countries. Special tour – A special and full of energy visit: in addition to seeing the famous sights of the Panoramic Tour, you will still get a closer look of the details of the Plant, the architecture of the majestic concrete cathedrals that make up the 196 meters high dam (equivalent to a 65-story building), you will touch and feel the vibration of one of the penstocks, throught which pass 700,000 liters of water per second; see the central control room of the Plant, where Brazilian and Parguayan technicians monitor the energy production for both countries; until you reach the shaft of a turbine in full operation, which alone can generate enough energy to power a city with 2.5 million homes. All these are moments of an extra special and unforgettable visit. 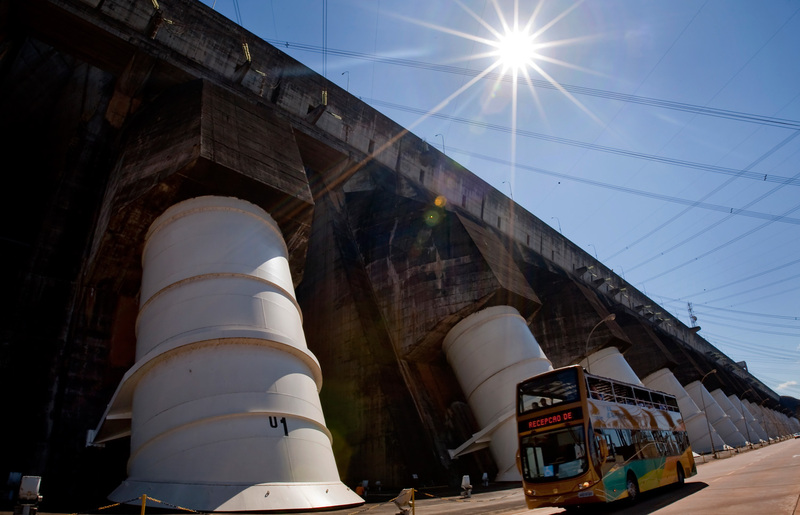 Come visit and let Itaipu become part of your history.